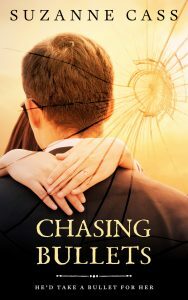 The name of this book is Chasing Bullets, and yes it was VERY hard to pick the title. I had a working title of Undercover, but I decided that I needed to change it, as there are so many other books out already with the title Undercover. So I went in search of a better one. After about 20 different incarnations and three weeks of different permutations, I eventually settled on Chasing Bullets, which came up in one of the many urban dictionaries on Google as a slang version of “to take a bullet ”. Oooh, I love this question. I think a lot (most) authors like to keep a photo gallery of images and ideas of their characters. And this is particularly true for me, so I picked my characters, using well-known celebrities almost before I started writing them. My hero, David Cooper, is a cocky, sardonic undercover cop, with slightly messy surfie-blonde hair and a constant three-day growth. The celebrity I picked to personify him is Eric Christian Olsen, who actually plays a cop in the TV show, NCIS LA. His goofy persona is close to my hero’s personality. And I like to think my heroine, Tara Hunter, who’s an extreme sports guide, is tall and statuesque, just like the Aussie model, Megan Gale. One of Tara’s best asset’s her beautiful big smile, and Megan Gale is world renowned for her own gorgeous big smile. 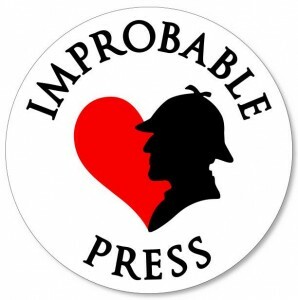 Courage, heroes, Aussie suspense and (of course) romance. This is a really hard one. I know this might sound odd, but I’ve always loved animal stories. And one of my favourites is Milo (the cat) and Otis (the dog). I know, it’s a soppy eighties tear jerker, but how can you not cheer for those amazing animals with such a strong love for each other they’ll climb mountains and swim surging rivers to find each other again? I cry every time I watch that movie. If I have to name a human fictional couple/team, it’d be Katniss Everdeen and Peeta Mellark from The Hunger Games. Throughout all the trials and tribulations Suzanne Collins throws at her characters, Peeta loves Katniss unconditionally, even though Katniss won’t allow herself to admit her own feelings for him. Peeta supports Katniss through everything, even when she’s lost faith in herself. It’s such a poignant, tragic book (and movie) but you can’t help barrack for them both to come out winners (of the games and at finding love). James Bay has an amazing, soulful voice. His song, SCARS, always makes me think of Tara and Cooper, when she first leaves him in Sydney and runs away to Byron Bay. I always imagine Cooper staring out his hospital window, wretched and in pain, wondering what he did wrong. It’s also significant because of the scars both characters bear, both internal and external. Tara Hunter’s easy life in Byron Bay is turned upside down when David Cooper, her ex-police partner, appears in town and their chequered past comes back to haunt her. Tara is drawn into Coop’s mission to track down a group of terrorists hiding out in the jungle wilderness. But when he’s taken hostage, will she be able to find the courage to tell him she loves him and save him from a terrorist’s speeding bullet? 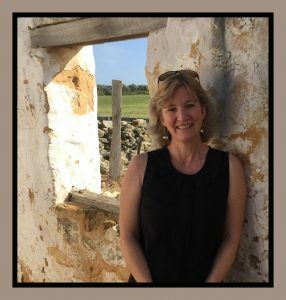 Suzanne Cass lives in Perth and loves to write about enigmatic heroes in wild, passionate, dangerous stories. Chasing Bullets is her second published novel. Her debut novel, Island Redemption won the RWAus award for best unpublished romance novel of 2016. Chasing Bullets will be released in paperback in late January 2018.